There's been speculation around the Sale Sharks number 10 jersey, although AJ McGinty recently returned from injury, they're on the lookout for a second fly-half. Linked with a return to Sale is Wasps stand-off, Danny Cipriani who would be welcome back to the north, and Stephen Myler, the veteran Northampton Saint. 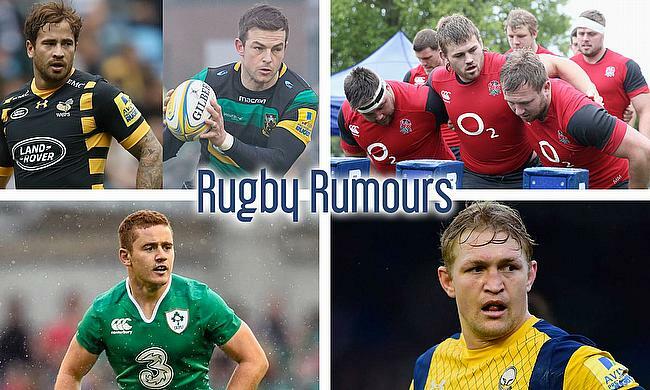 Transfer rumours have been circulating involving the Wasps' front row, including a move into the side for Northampton Saints' tighthead Kieran Brookes. And the prop rumoured to be on the his way out, is loosehead Matt Mullan, he's been linked with a move to the North-West with Sale Sharks. French powerhouse Top14 side Toulon have expressed an interest in the 31 year-old Worcester Warriors back-rower Dewald Potgieter. The South Africian international, who has won 2 Super Rugby titles with the Bulls, is ending his time in the Aviva Premiership and looks to be moving to France. After a rough couple of months for Paddy Jackson, it seems as if the Irish Rugby Union and Ulster Rugby are looking to part ways with the fly-half. He is rumoured to have plenty of offers on the table from clubs outside Ireland in the form of Exeter Chiefs, Sale Sharks and over in the Top14 with Montpellier.